Linux is a freeware and generally speaking its free from Virus and other malware infections. In this post I will share few Linux facts which may or may not be know for many of us. Only 2% of the current Linux kernel written by Linus Torvalds. The Linux kernel version is written in the programming language C.
The first commercial distribution GNU / Linux was Yggdrasil was launched Lice-CD format in 1992. Red Hat was one of the first distributions to settle within companies and data centers in 1999. A guy named William Della Croce Jr. registered the name Linux and demanded royalties for use of the mark. Later, he agreed to assign the trademark to the true owner, who is Torvalds. Countries such as Russia, Brazil and Venezuela have put their focus on Linux as a basis for interoperable management , cost efficient and technologically independent. U.S. Department of Defense, U.S. Navy Submarine Fleet, Federal Aviation Administration uses Linux in government offices. Indian state of Tamil Nadu uses Linux for education purpose. 90% of the world’s most powerful supercomputers using an operating system GNU / Linux, in fact, the top ten of supercomputers use Linux. In fact, the penetration of Linux in data centers is very high, 33.8% of the world runs on Linux servers compared to 7.3% does so in a Microsoft operating system. The name of the penguin, Tux , is not entirely clear. On the one hand, it is said that the origin of the name comes from the fact that penguins appear to be wearing a tuxedo, which in English is said max tuxedo tux and is abbreviated. 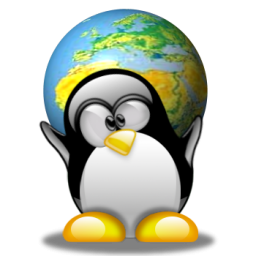 In contrast, another source comes from the letters of the logo of Tux are Unix Torvalds. Torvalds wanted to call the kernel Freax (a combination of “free”, “freak”, and the letter X to indicate that it is a Unix-like), but his friend Ari Lemmke, who administered the FTP server where the kernel was hosted for download, the download directory called kernel of Linux Torvalds. Debian was one of the first GNU / Linux that was constituted and organized as a community of developers. Linux is present in highly critical applications such as Japan’s bullet trains, traffic control, San Francisco, the New York Stock Exchange, CERN, many air traffic control systems or control of nuclear reactors of submarines and ships many nuclear war. Linux programmers are often associated with living “isolated” in the world, however, over 75% of the code developed for the Linux kernel came from private sector developers. In fact, large technology companies like Intel, Google, IBM, AMD, Sun Microsystems, Dell, Asus, HP, Analog Devices, Oracle, Novell or Red Hat help developing applications, contributing to the core or pre-installing any GNU / Linux their machines. In fact, during the 2003 Super Bowl (which paralyzes the United States and remains glued to the TV for many Americans), IBM delivered a beautiful ad talking about Linux and open source options. The GNU project in 1991, had no drivers and kernel, that’s what led to Linus Torvalds to address the Linux kernel development. If GNU had had, perhaps, Torvalds had not been put to work on that. The Linux kernel is now the most widely ported operating system, running on a great variety of operating systems. World known companies such as Google, Cisco, Facebook, Twitter, Linked in etc use Linux as their main operating system. This Linux is very helpful in deed.It helped lot of companies and now are successful. Thanks to this Linux and thanks to you for sharing. It was very nice to find out these facts about Linux. Unfortunately, I don’t use it as I still prefer Windows. I never heard this before! and providing us this useful information about Linux is really a big help. A lot of people will benefit from this. I learned so much on this post and i really appreciate it. Thanks for sharing this to us and keep up the good work! This is interesting; I didn’t know that Linux is that much popular. It is also in interesting fact that social media site prefer Linux over other operating systems, as well as nuclear plants and other critical systems like nuclear plants. If it is preferred by such technology giants and even preferred by critical systems, why is it not popular in common masses? About 80% of world’s websites run on Linux Machines including Top sites like facebook, Wikipedia, and WordPress.com. ChromeOS, Mac, Solaris OS all are variants on Unix.